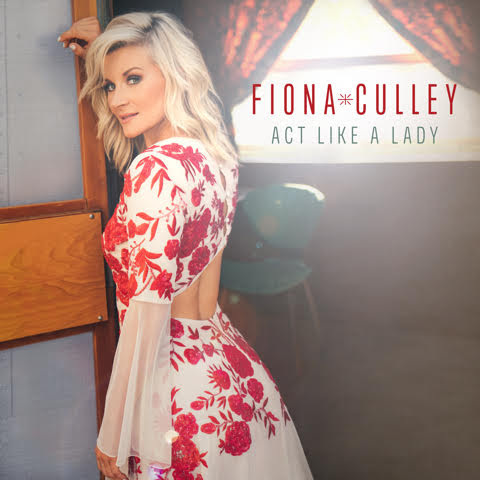 NASHVILLE, Tenn. (July 14, 2017) – Country music’s very own British powerhouse, Fiona Culley, has released her debut radio single entitled “Act Like A Lady.” Produced by Tyler Cain and Zachary Maloy and written by Maloy, Culley and Jennifer Schott, the empowering female anthem is slated to impact country radio on Monday, July 24th and is available digitally today. Download on iTunes HERE and stream on Spotify HERE. Currently on her debut radio tour, Culley is enjoying traveling the US for the first time while sharing her music with radio stations nationwide. She explains: "Radio tour has been amazing and I have already visited so many cities! Every place is new and exciting. When my guitarist laughs at my enthusiasm, I remind him it's like an American going to Europe for the first time! I feel very lucky to have this opportunity and can NOT wait for "Act Like A Lady" to hit country radio!" Hailing from Staffordshire, England, Culley made the move to Nashville in 2012 and diligently began writing, recording and honing her craft. Having been named the ‘Adele of Country’ by industry vet and hit producer Paul Worley (Lady Antebellum, The Band Perry, Martina McBride, Sara Evans), Culley first raised eyebrows when her cover video of Ed Sheeran’s “Thinking Out Loud” received more than 2 million views overnight. VH1 caught wind of the Culley’s stripped back take on the song and named it one of VH1’s Top 5 Cover Videos to Watch.